The manufacturer Samsung Electronics America, Inc. recently announced that it is voluntarily recalling specific top-load washing machines that were manufactured between March 2011 and its current model. The problem with these washing machines is that the top may detach while it is being used, resulting in injuries from the impact, according to the Consumer Product Safety Commission (CPSC). Samsung has received 733 reports of washing machines that had the top fall off or that vibrated too much, and this problem has caused nine reports of injuries so far, including a damaged shoulder. At Moll Law Group, our Samsung lawyers are ready to help you if you have been hurt by this company’s defective washers. With the assistance of a product liability attorney at our firm, you can assert your right to the compensation that you deserve for your injuries. The top of the Samsung top loading washing machine may cause so much vibration that when put on a high-speed spin cycle, the drums may lose balance and cause injuries. The recall was issued because reports show that the exaggerated vibration occurs because the drums may become unbalanced in the machine. This may happen when a high-speed spin cycle is used for bulky items, water-resistant items, or bedding, and it presents a serious risk to consumers nationwide. Consumers have two options in connection with the recall. They may get an in-home repair or a rebate to apply toward the purchase of another washer and the reimbursement of certain fees. They will also be able to get a refund from their original place of purchase. 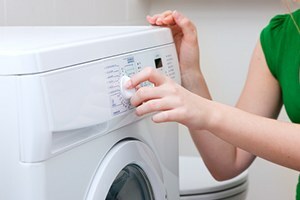 You should check which washing machines are affected by the recall. When a manufacturer becomes aware that there is a potentially widespread defect, it may issue a voluntary recall, as Samsung did here. If you are hurt by a defective washing machine, you may want to retain a Samsung attorney to pursue a personal injury claim against the seller, distributor, or manufacturer, in addition to any recourse given to you by the recall. Actionable product defects typically include manufacturing defects, design defects, or failures to warn (also known as marketing defects). In most cases involving a defective washing machine that causes injuries, you may pursue a product liability case under a theory of strict liability. You will need to show that the product in question was sold in an unreasonably dangerous condition, the manufacturer or seller intended the product to get to you without changes, and you were injured by the product. However, even though strict liability cases are usually more favorable to plaintiffs, this does not mean that you should go through the legal process on your own. It is important to retain an attorney who is familiar with product liability lawsuits, the options for compensation, the process of retaining persuasive experts, and tactics for defeating any defenses. In many cases, a product liability lawsuit against a culpable manufacturer is the only way to get your medical bills paid and your lost wages replaced after serious injuries arise from a defective product. If you or a loved one has been hurt because of a Samsung washing machine, the Samsung attorneys at Moll Law Group can bring a product liability lawsuit on your behalf. We represent victims nationwide, including in states such as Illinois, Michigan, Ohio, Pennsylvania, Texas, New York, Florida, and California. Billions of dollars have been recovered in lawsuits in which we have been involved. Call us at 312-462-1700 or use our online form to set up a free appointment with a personal injury attorney.